Click and log into your Google Account! 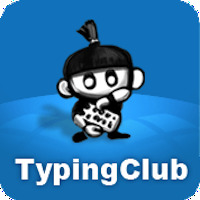 Watch the video below to learn how to log into Typingclub.com with student Google accounts! ​Throughout the year students will be learning & practicing proper keyboarding technique. This process takes time and practice to build muscle memory so students can become strong, confident keyboarders. Our focus is on accuracy and our speed with come with time. Feel free to practice your levels at home! Remember to always sit properly in your chair, keep your wrists straight and fingers curved, and always keep your fingers on Home Row! "There's no place like HOME ROW!" Allow your child to practice typing as much as possible. Writing stories on the computer, sending emails to the grandparents or a pal up the street, or even typing on your smartphones keyboard helps to familiarize your child with the placement of the different letters and punctuation marks on a keyboard. We are currently working on keeping our fingers on home row, keeping our wrist straight and hovering over the keyboard, and keeping our eyes on the monitor--not our keyboard. Be patient. Typing is not only developmental, but also a skill that comes with repeated practice! Watch the video below to learn how to log into Typing.com with student Google accounts! 1) Use two hands to type. 4) The bumps of the J and F keys should be under your index fingers. 6) Keep your wrists straight, not bent down. 8) Put your feet flat on the floor. 9) Look straight ahead at the screen. 10) When you type, hit each key with a quick tap. 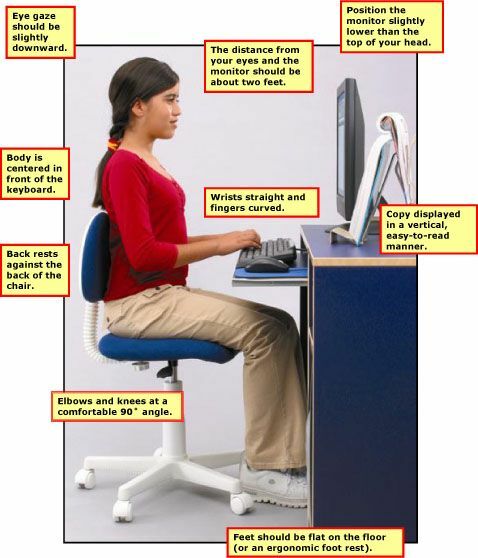 11) Keep your fingers close to the keyboard. Have fun as you build remote memory!